Moscow will continue to support Syrian Army troops in their anti-terrorism effort, Kremlin spokesman Dmitry Peskov said, after being asked whether Russian policy had changed following a reported chemical attack in the Idlib province. Peskov cited the opinion of the Russian military, which said the contamination may have been caused by damage to a rebel chemical weapons storage site. 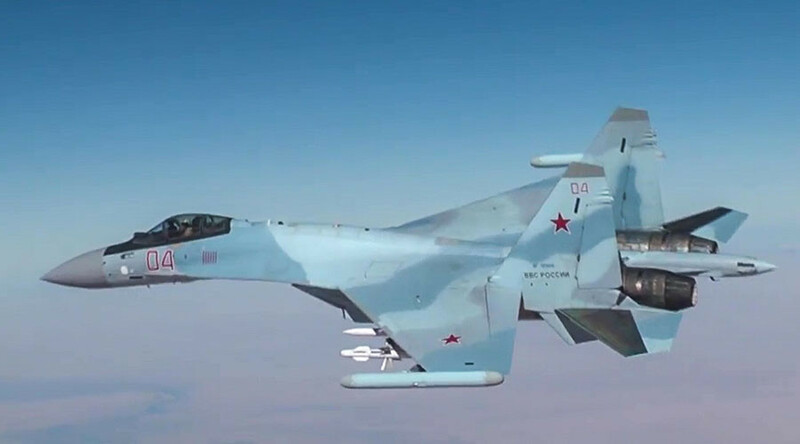 “You have heard the statement from the Russian Defense Ministry and I have nothing to add to the facts they stated. The Russian Federation and its military are continuing the operation to support the anti-terrorism operation and liberation of the country, which is being conducted by the Syrian armed forces,” Peskov said. Russian Foreign Ministry spokeswoman Maria Zakharova suggested later on Wednesday that the Security Council should urge the Organization for the Prohibition of Chemical Weapons (OPCW) to launch a fact-finding mission, provided that full access to the incident site is allowed. 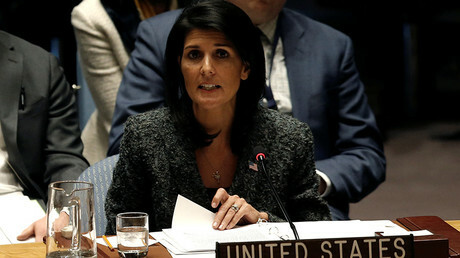 “It is crucial to call upon an OPCW fact-finding mission in charge of investigating the use of chemical weapons in Syria to collect evidence of the incident under the following condition – the composition of the fact-finding mission will be submitted to the UN Security Council for approval, and it will be balanced in terms of geographical [representation],” Zakharova said, according to Interfax. The acting Russian envoy to the UN will voice this position during an emergency meeting of the Security Council on Wednesday, which was called following the chemical incident, Peskov added. At least 70 people, including 11 children, have been reported killed in the town of Khan Sheikhoun after a suspected chemical weapons attack on Tuesday morning. Rebels accused the Syrian government of bombing the town with chemical munitions. The accusations have been backed by a number of Western governments. 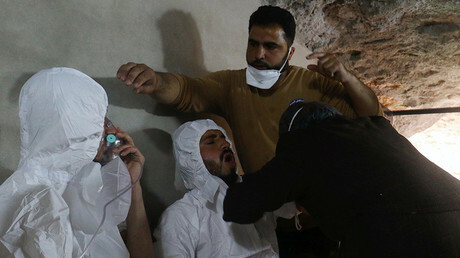 Staffan de Mistura, UN special envoy for Syria, said reliable evidence would be needed to confirm the alleged use of chemical weapons, let alone establish who was responsible for it. EU foreign policy chief Federica Mogherini also said there was no evidence yet to draw any conclusion on what had happened in the Idlib governorate, but stated that the Syrian government held “primary responsibility” for the situation. Amid the public condemnation of Damascus for the attack and Moscow and Tehran for their support of the Syrian government, some experts pointed out that the Syrian Army had no rational reason for using chemical weapons against rebels in Idlib. 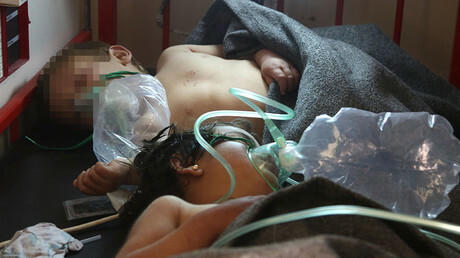 Iran, an ally of Damascus, condemned on Wednesday any use of chemical weapons and offered help to the victims. “We are ready to bring the victims to Iran and help them,” Iranian Foreign Ministry spokesman Bahram Ghasemi said, as quoted by Tasnim news agency. Earlier Turkey, an opponent and frequent critic of Damascus, reported treating dozens of victims of the alleged attack in hospitals located in the border province of Hatay, AP said. The incident in Khan Sheikhoun happened days after Washington stated that ousting Syrian President Bashar Assad was no longer a priority for the US. The “Assad must go” premise was one of the cornerstones of Washington’s Syrian policy under Barack Obama. The Trump administration has been dismantling many of Obama’s policies.